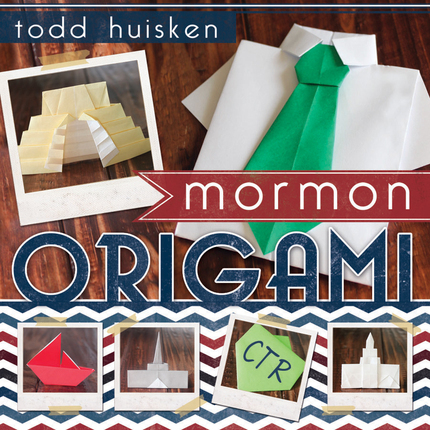 Now you can fold CTR shields, pioneer handcarts, or the Salt Lake Temple with Mormon Origami! From simple-to-intermediate origami designs, you will find opportunities to use these with all ages for lessons, activities, crafting, and everyday fun! Todd Huisken is a licensed Marriage and Family Therapist and the Counseling Manager at LDS Family Services in Fountain Valley, CA. 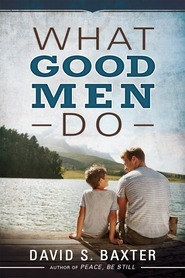 He attended Brigham Young University and The University of San Diego and has a Master’s degree in Marriage and Family Therapy. Todd has served as the Assistant Director of Disaster Mental Health Services for the Orange County Chapter of the American Red Cross. He has worked with victims from the San Diego Fires, Hurricanes Ivan and Katrina, and spent two weeks in Haiti after the devastating earthquake in 2010. He was an early morning seminary teacher for six years. He is the author of The Dating Directory and the founder of Process and Content, a graduate program newsletter at the University of San Diego. The most important thing about Todd is that he has been married to his beautiful wife for 21 years and they have three daughters and a son and they try to make Disneyland their second home. I'm always looking for fun and engaging things for our family to do on Sunday afternoons after church and Mormon Origami is perfect! We all had fun choosing a design and then trying to follow the directions in the book. The directions and illustrations are clear and easy to understand and the designs are fun and original. I highly recommend this to anyone that has creative kids that like to create. The author starts by showing different diagrams on how to do the folds, which is helpful as you actually start to make the designs. There are three different sections: Book of Mormon Designs, Church History Designs and Latter-day Temple Designs. He shows the skill level for each design (1, 2 or 3) and shares a little trivia. I'm currently sticking to the skill level 1 designs but plan to work my way up to level 3, which have the coolest looking designs, like the Nephite Temple, Pioneer Handcart, Ox, Statue of Moroni and Salt Lake Temple. I made some of the level 1 designs with my children and we had lots of fun. This is a great activity to keep kids entertained and might make you the coolest Primary teacher ever (just saying). It's definitely a great resource to have on hand! I jumped at the opportunity to review Mormon Origami when I saw the cool designs on the cover, and because I thought my kids would really enjoy it. When it first arrived, I let my kids have at it themselves. They had fun with it, although many of the designs were above their skill level. I thought all Level 1 items would be easy, but when I sat down with my kids I'll admit that I got lost a few times. We used 3x3 origami paper. That is very small for most of the designs in this book. Stick to regular sized paper (cut into a square if the shape requires that you start with a square), and you'll have a much easier time and a more fun sized result. I like how there are some quiz questions/trivia notes at the top of each design. It makes the activity more meaningful. 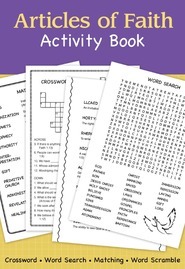 For those who love to create....this is a great book and offers opportunities for families to have fun folding historical things and talk about biblical subjects. Great gift idea! Origami (or-i-GA-me) is the art of folding paper. Used anciently for religious ceremonies in the Japanese culture. This book is REALLY FUN!